Toni Bou, joint-leader in the competition with 35 points, will be determined to add another success to his already lengthy list of triumphs. The Repsol Honda Team champ is the best ever rider of events held on Spanish soil, with a tally of 22 world championship victories, compared to the 12 of rival Adam Raga. These results are out of a total of 77 trials held in the country since 1993, whose points score towards the championship in the sport’s highest category. Bou will be the sole participant for Repsol Honda Team in this weekend’s event. 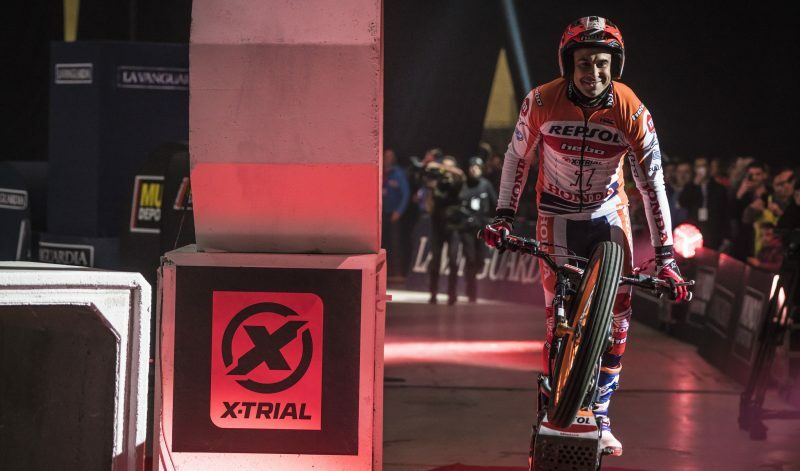 This will be the first time that Bilbao has hosted a FIM World X-Trial Championship trial. In Palacio number 4 of the Bilbao Exhibition Centre, riders will face the six sections which the course is made up of. The trial, which will start the Saturday morning with an inspection of the sections and the mandatory administrative and technical verifications, kicks off at 20:00 hrs with the presentation of the nine participating riders, followed by the qualifying round. The second phase is scheduled for 21:45 which will see the two top finishers of each group pass through to the final. This super-final is set to take place at 22:40. Toni Bou 1 STANDINGS: 1st (tied) POINTS: 35 I really want to compete in Bilbao, not only because it is the first time that they have hosted an indoor world championship event here, but also because I want to be in the battle for the victory. This championship will be a complicated one and you have to go from one trial to the next one, always looking for the best possible result. Last weekend I had a good feeling in Bordeaux, but there is still some pain in the lower back, so we will try to work the physical part to stay on top in these two consecutive X-Trial World Championship events and will try and regain the top position in the overall championship standings. ← Previous Previous post: F1 2019: Launch of the STR14!